Note : Your request will be directed to OriginGPS. 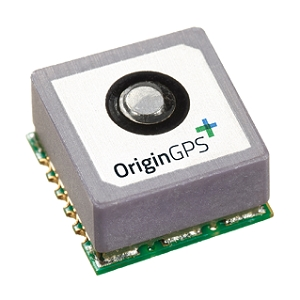 The ORG1410 from Origin GPS is an ultra-compact GPS module with an integrated antenna for cost-sensitive applications. This miniature multi-channel GPS receiver with support for SBAS, QZSS and other regional overlay systems, continuously tracks all satellites in view, providing real-time positioning data in the industry standard NMEA format. It offers excellent sensitivity, achieving rapid TTFF in less than one second with an accuracy of approximately two meters, and tracking sensitivity of -163 dBm. The ORG1410 chipset integrates an antenna, dual-stage LNA, RF LDO, SAW filter, TCXO, RTC crystal and RF shield with market-leading SiRFstarIV&trade GPS SoC. It is available in a compact package that measures 10 mm x 10 mm has been designed to support compact and traditional applications such as smart watches, wearable devices, asset trackers and other applications that requires a compact, low power GPS solution. GT-88 from FURUNO Electric Co., Ltd.
25 GNSS Modules from FURUNO Electric Co., Ltd.